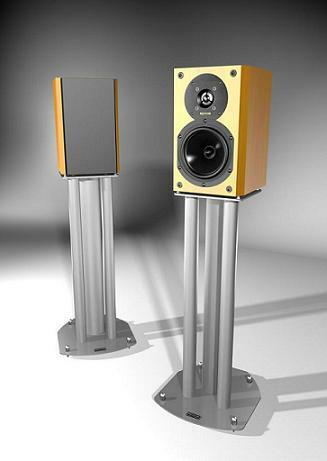 Legendary British HiFi speaker brand, Epos, are available again at CAV. The classic Epos signature sound is characterised by a delicate and open top end and a sweet and revealing midrange that is free from boxiness. The bass is always tight and fast. Quite simply, they are one of the most unique sounding speakers you will ever hear. Three things to take note of. Firstly, the new speaker range sounds ridiculously good, as reflected by the way the product has been cleaning up in the press (The ELS 5.1 system won the recent What Hi-Fi Group Test, among other accolades). Secondly, the range has been expanded to include centre speakers and a subwoofer for surround sound / home theatre applications. Thirdly, Epos is now FAR more affordable than it was in the past, starting from as little as $650 for a pair of the gorgeous ELS3's (as pictured below). How they have been able to continue the Epos legacy, improve the cabinetry and finish, expand the range to include the 'M' series and 5.1 surround packages, yet sell the product at price points far less than before is a complete mystery. Come in for an audition and hear why Epos continues to be the choice for the discerning music lover.